Utilizes 72 curved vane design with the same OE air gap of 17mm with thicker sidewall thickness for increased thermal capacity. Disc flange thickness has been increased over OE equipment while utilizing 12 mounting points vs. the 10 OE mounting points. 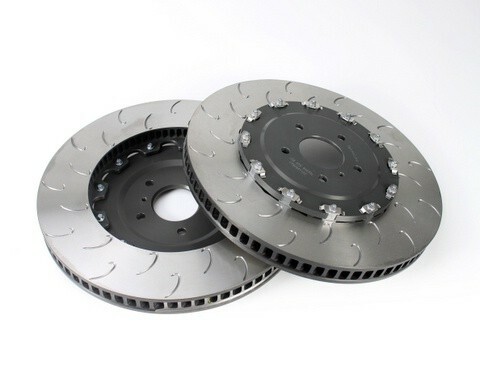 Brake discs come with new aluminum hat and fasteners.